Mark and Sean from Carmanah or Go Power came into New Orleans to visit Outside Supply. They brought along some new goodies for us to take a look at, and showed us what they have been up to in the lab. Pretty cool stuff coming down the pipe. What they didn't know was we had the alligators and the swamp waiting for them. We decided these guys need a little rest and relaxation after all the hard work they do keeping Outside Supply loaded with the best power inverters and solar products on the Internet, so we took them fishing. But only after they showed me the latest and greatest gadgets. On top was an installed Go Power Sine Wave 3000 watt power inverter complete with optional remote, Inverter install kit, battery charger, and AGM battery. 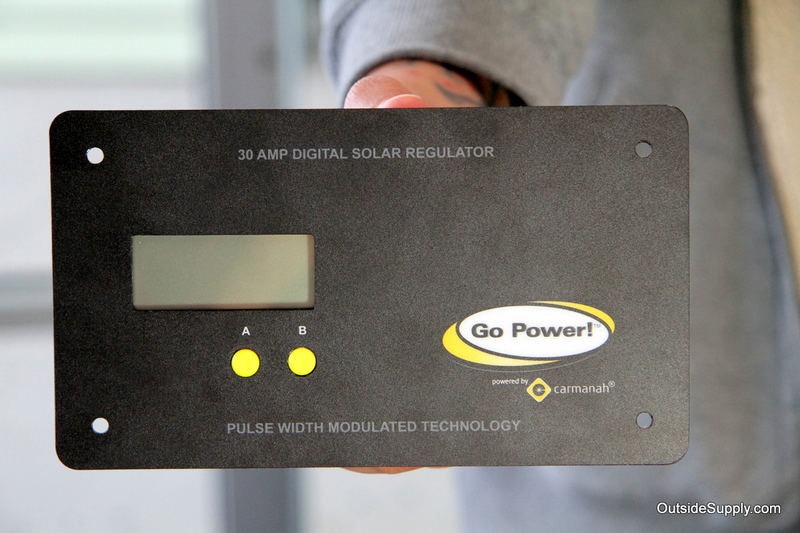 They also brought along a new solar charge controller or solar regulator called the GP-PWM-25. This new charge controller allows for more efficent charging from your solar panels. This should be a hot RV Solar item in 2009 and 2010. 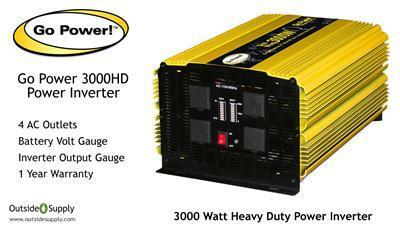 Also new to the market is the Go Power 3000 HD power inverter. 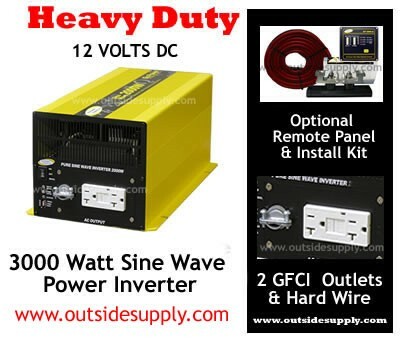 This power inverter should allow for a strong modified sine power leader from Go Power. It will clearly run tons of items like washing machines, chop saws, and table saws. Here is a picture of the Carmanah guys before we went fishing. Don't they look a little uptight? After some fishing, we will see if they come to understand our motto "laissez le bon temps roulez." So here they are after a great Louisiana swamp fishing trip. We chased red fish all day. Sean, make sure you wear sunscreen! Look below for the fish everybody except me caught. I think it always works that way. But all in all it was a great day and I appreciate the hard work these two guys and their team do to make sure we bring the best products to you, our customers!